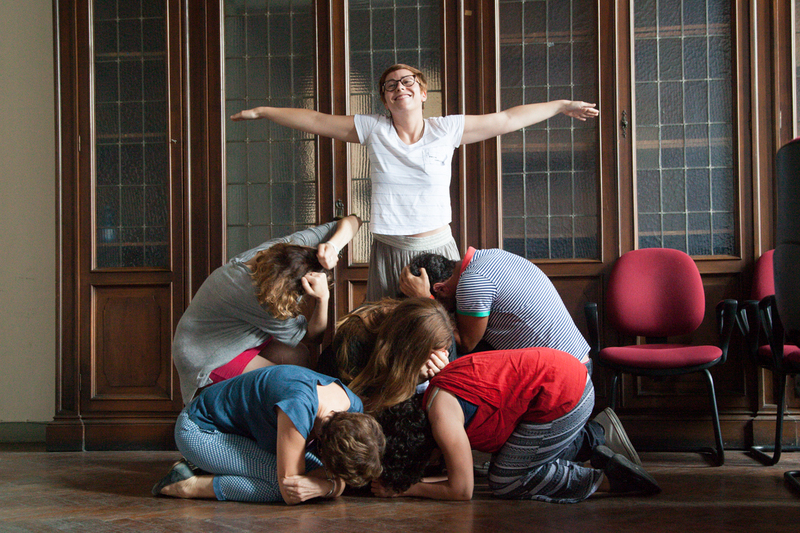 The final version of the manual of "Projecting YOUth" is already available! After a hard work and different drafts, the last version of the manual of "Projecting YOUth" is already online. This is the main intellectual output of this transnational adventure developed thanks to all its partners and experts. The main purpose of this material is to investigate further in the Multiple Intelligences Theory and the impacts it could have on the young people life, basing our investigation on how to carry out an artistic project. The downloading of this product is free but it must be used with non profit purposes. Please notice that you can also contribute to this manual and improve it by giving us your feedback about it using our online form for users. 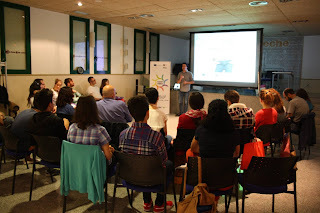 You can already see the photos of the Photos of the activity implemented on the 28th of June and closed the multiplier event of Projecting YOUth in Spain. This open show made possible to all the young participants who took part on this initiative t to share and present the initiatives created by them during the local workshops of the project in Logroño and thanks to the support of the team of ON&OFF. If you want to learn more about their ideas, please click here. You can see these photos and much more about this activitiy on the Facebook page of the project. ON&OFF run in Logroño the multiplier event of “Projecting YOUth” and final activity of the project in La Rioja. The event was divided in two main activities. The first one was a seminar that took place on the 27th of June to disseminate the intellectual outputs created by the project staff on youth education and training. Different youth workers and youth policies responsibles joined together to have a contact with the mentioned results and discuss their potential use within their entities. The second activity was a public presentation that was implemented on the 28th of June and on which the local young participants of the project showed the youth initiatives created by them during the workshops implemented in Logroño for youth empowerment in Spring of this year. In case you want to get more information about this project funded under the Erasmus+ programme of the European Commission you can visit its website that will be regularly updated during the project with photos, materials, posts and videos (www.projectingyouth.eu). 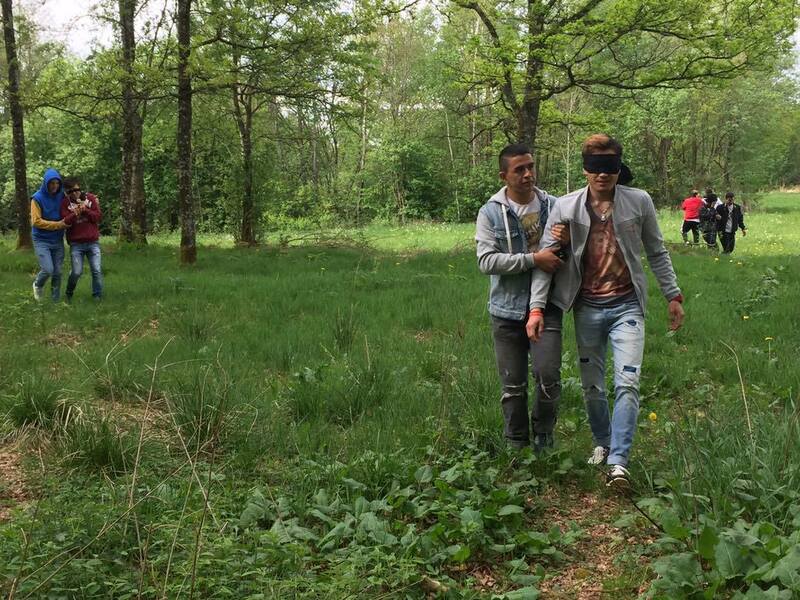 You can also follow the development of the project through its Facebook page (https://www.facebook.com/Projecting-YOUth-1653370568214010/?fref=ts) or contact any of the project partners. 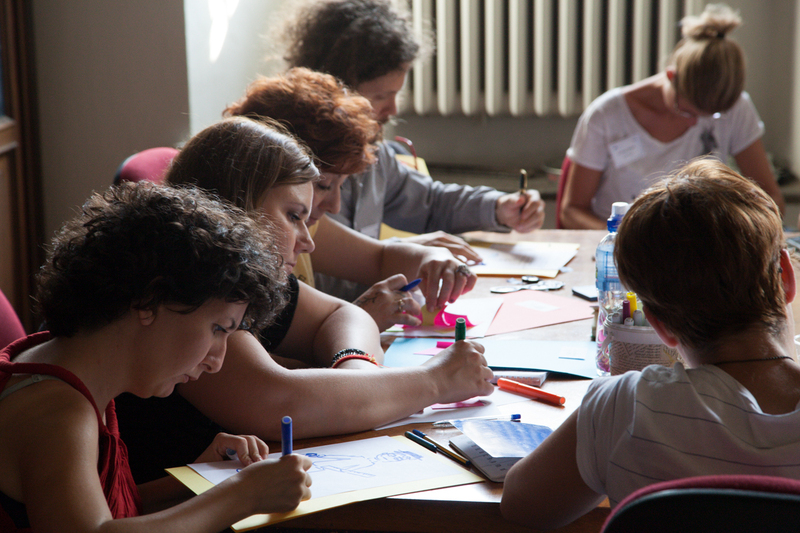 Calypso, Italian partner of "Projecting YOUth", implemented on the past 4th of July the final multiplier event of this initiative on the Italian city of Pavia. 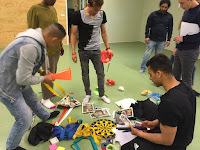 The activity joined together 22 professionals on the field of youth education in order to discover the project materials, have a first contact with them and provide their first feedback concerning the outputs content and the general project implementation. All the photos of the event will be uploaded soon on the project Facebook page. Last transnational meeting of Projecting YOUth implemented in Örkelljunga (Sweden). 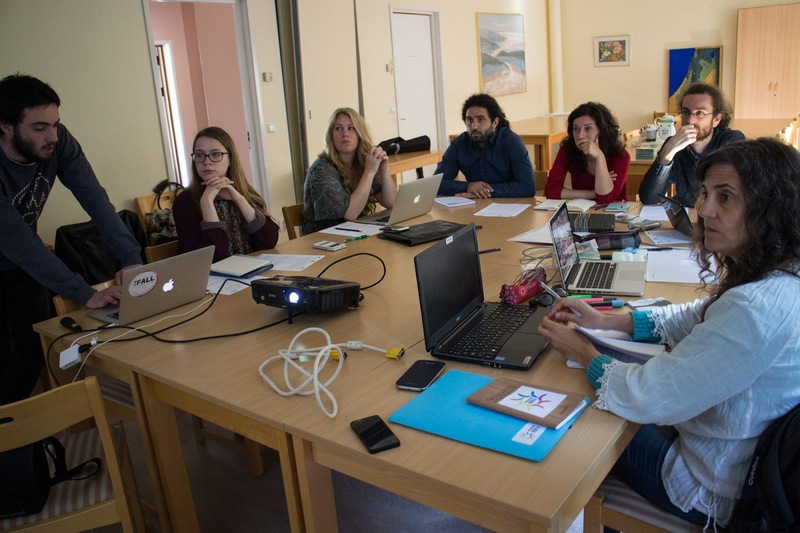 Örkelljunga hosted all the coordinators and product developers of Projecting YOUth in a transnational meeting that was used to evaluate the whole project and prepare its lasts phases. 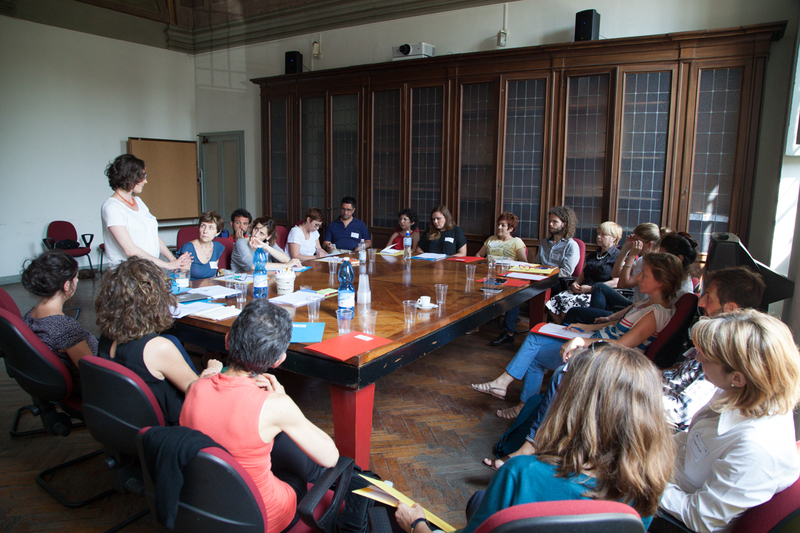 Eight representatives from the three partner organisations of the project (Asociación Juvenil ON&OFF (Spain), Calypso - il teatro per il sociale (Italy) and IFALL - Integration För Alla (Sweden)) met from the 05/06/2016 to the 08/06/2016 with the aim of preparing the final part of this transnational initiative. Atteendes had the chance of evaluating all the previous work done and went through the intellectual outputs created on the previous months in order to include potential improvements on them before their final publication. After a deep analysis of these materials and agree how they will be finally presented, partners worked on the structure and content of the last activity that will close the project: a public multiplier event to disseminate the project results that will take place on the three partner countries of the project. Besides all of this, participants had also the opportunity of visiting the local facilities of the Swedish partner of the project and the centre for minor refugees and asylum seekers that cooperates with the organisation. Finally, the event was also useful to allow partners to discuss about the follow up of the project and other common future initiatives to be deveoped among them as a continuation of Projecting YOUth. 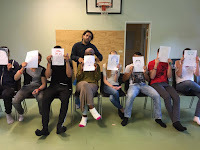 Young participants of different ages, backgrounds and nationalities are part of the team who is testing the project materials of "Projecting YOUth" in Örkelljunga with the support and coordination of IFALL, Swedish partner of this transnational project. Together they learn about youth entrepreneurship, how to develop artistic initiatives and are trained on different intelligences and horizontal competences. 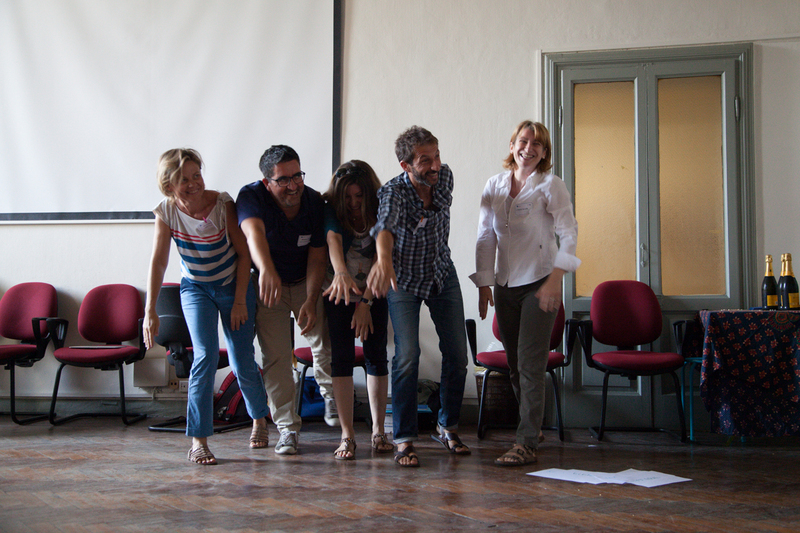 You can meet this intercultural team and see more photos of the workshops by visiting the Facebook site of the project. Representatives of the three partner organisations of Projecting YOUth will meet together in order to evaluate the previous stages of the project and plan its last activities that will take part on the next months. From the 05/06/2016 to the 08/06/2016, members of all the entities taking part on this project (Asociación Juvenil ON&OFF (Spain), Calypso - il teatro per il sociale (Italy) and IFALL - Integration För Alla (Sweden)) will implement this meeting which main aim is to work on the final edition of the intellectual outputs about youth training on entrepreneurship and artistic initiatives that will be published at the end of the project. Besides this, the event will be also used to design and agree the programme of the multiplier events that will take place on each partner country at the end of the project. These events will be open to any kind of beneficiary interested on the project results and will provide their participants all the knowledge and materials developed by the team of Project YOUth. As final transnational meeting of the project, the activity will be also used to deal with all the justification of the previous work done and creating the strategy to disseminate all its results. The mobility will be also used to get to know the local team of IFALL and discovering the best practices of the organisation on youth training and education. In case you want to get more information about this project funded under the Erasmus+ programme of the European Commission you can visit the different sections of this website that will be regularly updated during the project with photos, materials, posts and videos. You can also follow the development of the project through its Facebook page or contact any of the project partners.